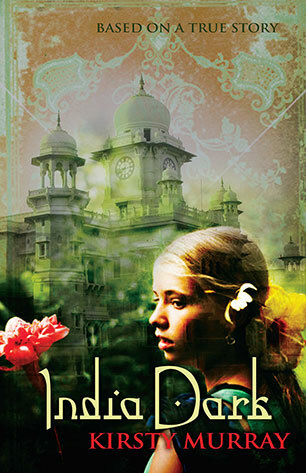 A strong and vivid novel based on the fascinating true story of a group of young Australian performers - children aged from seven to seventeen - who toured Asia and India early in the twentieth century before mounting a strike against their manager and precipitating a sensational court case. Daisy opened her mouth and lies flew out. Her face so pink and white, her lips so plump and sweet, her lies so vile. I had to cover my ears. I shut my eyes, wanting to block out the courtroom, to neither see nor hear the evil: but Tilly grabbed my arm and twisted the skin on my wrist in a Chinese burn. Madras 1910: a troupe of child performers are stranded, having staged a strike against their manager. Their fate now depends on the outcome of a court case, and an alliance with gentlemen of the British Raj. Based on a true story, India Dark recreates shifting friendships and loyalties and the clash of innocence versus experience against the backdrop of India's seductive mysteries. Kirsty Murray is an award winning author of nine novels for young people including Vulture's Gate, Zarconi's Magic Flying Fish, Market Blues, Walking Home with Marie-Claire and the epic quartet of historical fiction, 'Children of the Wind'.